The company has set a benchmark with its innovations in artificial intelligence, robotics, automation, and sensing and control. Some of its unique technologies will be highlighted in this write up. 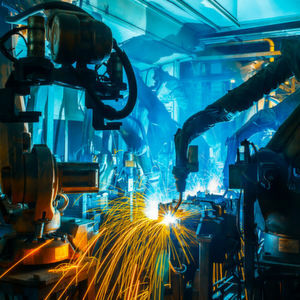 With our factories becoming smart and cobots working closely with humans to enhance productivity at the shop floor, the world manufacturing sector is witnessing its greatest transformation ever! In this scenario, global companies are on the run to introduce better and more efficient innovations that can be used across diverse industries. Omron Corporation is one such company that is forging ahead with its latest technologies in artificial intelligence (AI), robotics, automation, and sensing and control. The company will be introducing the new NX1-series Machine Automation Controller that improves productivity while leveraging information. In addition to this, the NX-HAD4 High-speed Analog Input Unit 1 and NX-SL5 Safety CPU Unit 2 will also be introduced which can be used with the NX1 Series. These will enable to address manufacturing innovation challenges such as strengthening of quality control and flexible safety measures. The firm’s unique multicore technology has been integrated into the NX1 Series that enables it to provide machine control and at the same time execute high-speed data processing tasks. This leads it to collect synchronized data from sensors, servomotors, and units mounted to the controller within the same fixed cycle time. This controller can send the collected data to the host IT system while maintaining control performance. Three industrial Ethernet ports including EtherNet/IP and EtherCAT ports and an OPC UA server interface for IIoT for industrial automation and information technology are housed in a compact design with a width of 66 mm. This connectivity allows use of IT at production sites and easy and secure connection to host IT systems. The company has also merged AI (artificial intelligence), machine learning and facial recognition technology and come up with the ‘Omron VOR technology’ in the automobile industry to keep drivers safe. The unique technology can detect a person’s suitability to drive owing to a remotely installed automotive camera that can sense eye movements and detect early-stage drowsiness. The new technology is based on the firm’s high-precision facial recognition technology – Okao Vision. This distinct feature makes it stand out as compared to its competitors that observe only blinking to detect drowsy driving. The world’s first AI-equipped table tennis tutor – Forpheus has been around for some time. The company’s core technology ‘Sensing & Control + Think’ has been installed in this robot along with a three-camera system to identify the ball and evaluate players, a high-speed robotic arm that moves in response to its AI controller, trajectory prediction, a motion controller brain which tells it how to hit the ball and machine learning to evaluate his opponents’ capabilities. The special feature of Forpheus is that instead of competing with its opponent, it comprehends the skill level of its partner and then matches his play according to his partner thus, leading to longer matches. 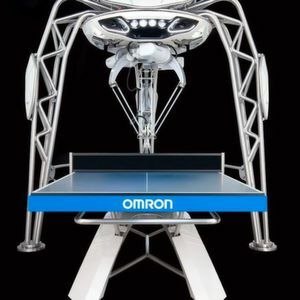 This year, the robot has incorporated some additional new features including its ability to toss and serve, predict a smash on the basis of its opponent’s movements and also to create sounds based on the status of the match. The AI-equipped robot makes use of sensing, control, artificial intelligence, machine learning and robotics to carry out its tasks. 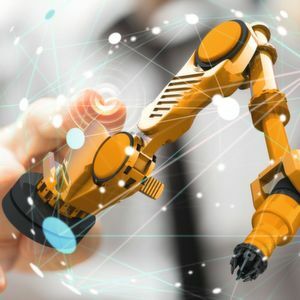 The future will witness the collaboration of machines and humans even further and with new disruptive technologies on the rise, companies will gain numerous business opportunities. For more news regarding the topic of automation and robotics visit the fair Automatica and our facebook page or twitter.